Independent schools have been connected with their local communities and collaborating with state-maintained schools for many years but only recently have we begun to collect data which clearly demonstrates this. The facts show that independent schools are very much part of the educational landscape and take their social and educational purposes seriously. Independent schools are diverse and generous supporters of education in its broadest sense. A certain amount of political interest has been generated in connection with charitable status debates over the years and the media often berates fee-charging schools for the ‘tax breaks’ that come with charitable status. In fact, the allocation of bursary awards far exceeds business rates relief granted to those schools which are charities. Even schools that are not charities have taken steps to improve accessibility for families who might not otherwise be able to send their children to an independent school, by providing increasing amounts of bursary assistance in recent years. This year, our schools provided almost £400 million in means-tested fee assistance for pupils at ISC schools. A judicial review in 2011 ruled that education is of itself a charitable activity. The trustees of schools which are charities have a duty to report to the Charity Commission their school’s work for the public benefit. This work can take the form of awarding bursaries on a means-tested basis for disadvantaged children, children on the edge of care and looked-after children, support for academies and collaborative work which provides a variety of learning and development opportunities to children who would otherwise miss out. It is important that trustees retain flexibility to fulfil any school’s public benefit activity according to local needs and in ways that are appropriate to the capacity and capability of the school. For example,many schools do not have extensive facilities that can be shared with state schools and there are geographic and other barriers to be taken into account. The website was launched in 2016 and although involvement is voluntary, over 3,000 projects have been displayed, showing a wide range of partnership activities. The projects are allocated categories such as academic, CCF, drama, governance, music, sponsorship, sport and design technology. It is clear from the website that many different types of collaborations are underway involving both large and smaller schools. From full academy sponsorship, such as Harris Westminster and the London Academy of Excellence, through to arts and craft projects with local primary and special schools; from careers guidance and university preparation, to inclusion in dramatic productions and sports tournaments – this website draws together a range of impressive and exciting educational opportunities for pupils and staff. It showcases excellent examples of what is already in place, providing insight into the value of collaboration. There are economies of scale and various mutual benefits when schools join together to procure services – including the sharing of specialist teachers – and training. A visiting author or speaker can be made available to a range of pupils beyond the host school. Schools can share specific expertise and develop policies. 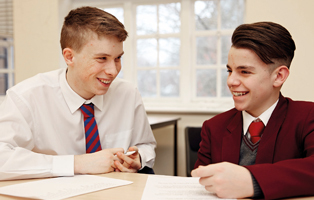 Vulnerable subjects, such as modern foreign languages, Latin, music and physics are supported by partnership work. Pupils meeting each other can develop a new way of seeing the world. Inter-school visits can allow new subject areas, sports, musical instruments and experiences to be shared, broadening the horizons of all involved. Successful partnerships help to bring communities together in deeper understanding and thereby support social cohesion. The pooling of resources enhances the overall educational offer for all schools involved and by sharing experiences, teachers can benefit from effective professional development. Some schools are working in pairs or small clusters and others are working in large collaborative groups across an area such as York or Birmingham. These groupings develop projects over time and forge strong links across the communities involved. The projects grow according to schools’ needs and strengths, building mutually supportive communities. We are happy to report that almost all ISC schools are already engaged in partnership activities. Most are involved in sporting and academic partnerships of some kind and around half are engaged in music and drama partnerships. This is alongside the community work and charitable giving that our schools support. The ISC Census report for 2018 shows that 1,137 independent schools are involved in partnerships with state schools and the community. Tens of thousands of state and independent school pupils benefit from these partnerships. In May 2018 the Government announced a ‘Joint Understanding’ between the Department for Education (DfE) and the ISC to promote and encourage voluntary, mutually beneficial collaboration between independent and maintained schools. This set out a commitment to develop a range of important work across the education sector, so that partnership work will continue to grow and thrive. 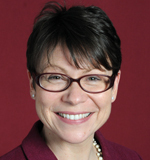 Julie Robinson is Chief Executive of the Independent Schools Council (ISC). Julie serves the interests of the ISC’s constituent associations and 1,300-plus member schools through conversations with the Government and in the media. The ISC brings together five associations representing headteachers, one governors’ association and one bursars’ association, along with four affiliate associations that represent boarding, Scottish, Welsh and international independent schools. Before becoming ISC Chief Executive, Julie was a teacher, housemistress and Head of Ardingly College Junior School and then Vinehall Prep School in Sussex. After these headships, she was Education and Training Director for the Independent Association of Preparatory Schools (IAPS). She is a governor of a state school and an independent school.